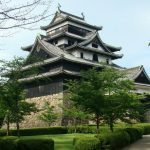 Once you have decided that your next travel destination is Japan, what do you need to know to prepare for your trip to Japan? The following is a list of 5 things you need to know before you go to Japan. Your passport must remain valid during the period of your stay in Japan. There is no minimum period of validity required. Australia and New Zealand Passport holders have a Visa Exemption for short term stays of up to 90 days. 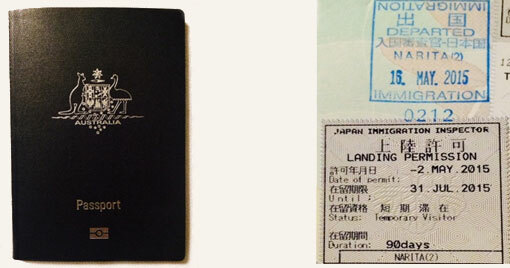 Upon arrival in Japan, you will be issued with a “Temporary Visitor” entry status stamp. The Yen ￥(円) is the unit of currency in Japan. 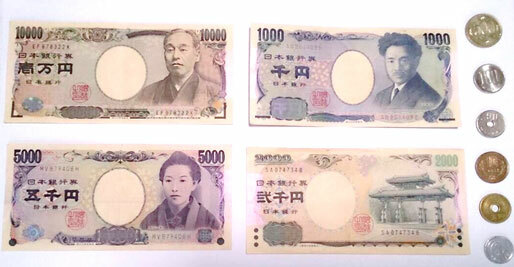 There are six denominations of coins, 1, 5, 10, 50, 100 and 500 yen and four denominations of notes, 1000, 2000, 5000 and 10,000 yen. You might use your credit or debit cards everyday in Melbourne, but you will find that it is not possible in Japan. Also, in Australia, you would not see the highest denomination note, the $100 note, very often, but the highest denomination note in Japan, the 10,000 yen note, will be seen and used frequently. Because Japan is still very much a cash society, make sure you don’t run out of cash in your wallet. However, credit cards are acceptable at a wide variety of merchants such as convenience stores, department stores, restaurants and major hotels. 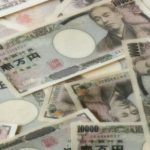 How much money will you need in Japan? Admission fees to temples and shrines are usually 300-700 yen and museums are around the 500-2000 yen mark. The spending money required for one day in Japan for items such as breakfast, lunch, dinner, snacks and drinks, plus transportation and admission fees could be covered by 10,000 Yen, which is approx. $110. It might not be enough if you are planning to an Izakaya (居酒屋), Japanese pub, and have a lot of drinks or if you would like to go to luxury class restaurants for dinner. Travellers Cheques are accepted by leading hotels, ryokans, stores and some duty free shops. They can also can be exchanged at major banks. Credit Cards from major international brands (such as VISA, Mastercard, American Express, Diners, JCB) are accepted at a wide range of merchants, however, debit cards are not very common and are unlikely to be used at any merchants. 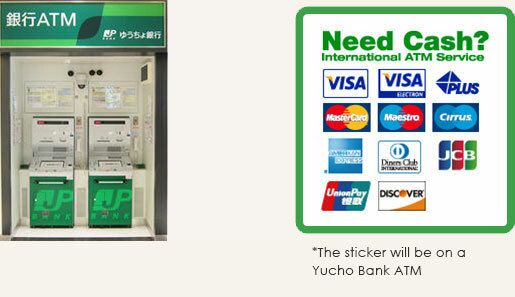 You can withdraw cash using your credit cards and accepted debit cards at over 26,400 ATMs throughout Japan using Yucho Ginko (ゆうちょ銀行) (Japan Post Bank) with the sign “International ATM Service”. The ATMs are available with English guidance. Currently there are 21,357 ATMs (June 2015) at 7-Eleven Convenience stores all over Japan. Almost 24 hours a day, you can withdraw cash using the accepted credit and debit cards of major international brands. The ATMs are available with English guidance. Of course, there’s always the option to get some Japanese Yen before you go to Japan! You should never tip in Japan. Is it true? Tipping is not mandatory in Japan. But there is a certain etiquette of “gratuity” (心付け – Kokoro-duke) and the unique Japanese culture makes this topic a little bit complex. Many Japanese people are not used to the practice of tipping and also they are not expecting to receive a tip. At restaurants, hotels, using a taxi and using a public toilet, most situations do not require a tip. Some people say that tipping in Japan is rude, but this is not true in regards to the act of tipping itself. Tipping by handing over cash might be considered an impolite act and Japanese people can be in two minds of “should I take this, or not…?”. If you do decide to tip, it might be ideal to place a tip into a small envelope and hand it off. I personally believe that when people who work in the hospitality industry have a chance to get a tip from customers, receiving that tip would be gratifying, whether it is in an envelope or not. Even if there is no common practice of tipping in Japan, people understand the meaning of “tip” and why a tip is offered – an appreciation or a compliment of service. Simply, you should tell them “it is a tip for you and your hospitality”. Are you going to be insecure without your mobile/smart phone and internet? Or perhaps you don’t want to be interrupted on your holiday, particularly a call from work. Do you really need a phone? If you are not worried about phone calls and simply want to enjoy your holiday, that would be great! But, you might have circumstances or some reason that you need a phone. Here are a few options for making or receiving phone calls and using internet on your mobile devices in Japan. Firstly, you can always check to see if your phone is compatible with the phone frequencies used in Japan. These days, most phone companies offer a higher frequency range and using your own mobile phone while ‘roaming’ around Japan can be an option, but it does come with it’s own costs. Another option is to hire a phone for the time you are in Japan. Compared to roaming, you would have a fixed amount that you would pay to have your hired phone available to make and receive calls and to use the internet. These days, there are a lot of options for ensuring you can still communicate while in Japan. Another of those options includes a travel SIM card and there are a number of companies offering this product. You may even be able to use your existing number while using this service. While Japan is a high-tech superpower, the Wi-Fi connection and availability across the country still has a long way to go to become a convenient service for the traveller. However, there is Wi-Fi available and, if you prepare, you are able to get free Wi-fi organised before you leave for your holiday. There are a number of apps which offer the convenient service of locating all free Wi-Fi connections with one user name and password. If an internet connection is all you need and you are happy to use your internet if and when the Wi-Fi is available, this free option may be your best choice. One of the most convenient ways to stay connected while you explore Japan is to get a SIM card. Even if you get one SIM, you may still be able to share the connection using your personal hot spot! 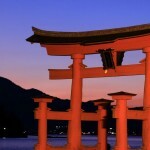 (check with the provider as many don’t allow this – our Prepaid Japan Travel Sim does!!). Frequency – 50 Hertz in eastern Japan and 60 Hertz in western Japan (including Nagoya, Kyoto and Osaka). Ambulance services are provided by the Fire Department, dial 119 to request an ambulance from any telephone. Japan Helpline is Japan’s only 24 hour, nationwide assistance service for the international community. They will help you with a range of matters from an earthquake to just a toothache. The AMDA provides telephone services to foreigners in Japan in several languages, and can introduce you to medical facilities with staff who speak your language. Your embassy is often a good first point of contact in an emergency.